"WHAT NOW," we walloped in November 2016. We gnashed our teeth. We fretted tiny frets and big whoppers. Then we set out on a 28-day road trip across America to ask other artist activists what they were doing. 120 Project - a social justice arts activism platform - was born. 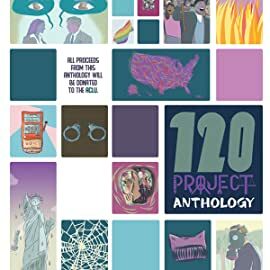 And now we present 120 Project Anthology! 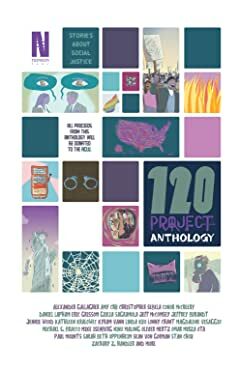 A collection of short stories by writers and artists from across the country, this timely and punchy anthology explores contemporary issues, conflicts, and dialogues about race, gender, politics, diversity, discrimination, equality, activism, police brutality, free speech, family values, protest, immigration, bans, legislation, fear, hope, dreams, and current American reality. All contributors lent their time and artistry to this endeavor, and all proceeds will go to the ACLU. 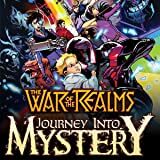 This community project is edited by Oliver Mertz (First Law of Mad Science, Science Club Mixtape, FUBAR, The Monuments) and Sarah Beth Oppenheim (longtime dancer and first-time comic book maker), and features some essays and precarious moments from the journey. Take the high road with this transportive read.